Preparing for this blog entry and for an upcoming talk regarding health coaches, I asked one of my health coaches to share a memory she had about when she had connected with one of my patients in an especially meaningful way. To put this memory in perspective, my health coaches see my diabetic patients and patients who are having Medicare physicals before I see these patients. My health coach shared a memory from one of these preparatory visits with a diabetic patient who had recently learned of the violent death of her sister. My health coach spent a few minutes with this grieving patient before I entered the room. Because the patient had known and worked with this health coach for more than a year, they were able to connect and I believe that the patient felt fully supported by my practice in the person of this health coach. When I started at McFarland Clinic 21 years ago this month, I had previously worked in Algona for nine-plus years and had my vision of a good practice well established. In those early weeks, I clearly remember the McFarland Clinic manager for Ames Family Medicine saying that my only nurse would be responsible for all my nursing needs including bringing patients back to see me, phone calls, medication refills, and assisting at minor procedures, as well as doing procedures such as ear rinsing and injections. The nurse was also responsible for keeping paper charts up-to-date, which included placing clinic dictation in charts using “sticky” paper, counseling patients, and dealing with insurance requirement such as prior authorizations. I quickly learned that the needs of a busy family medicine practice required more than what was referred to as “one nurse equivalent.” During this time McFarland Clinic changed their accounting system so that nursing staff was paid by the physician and not by the Clinic at large. With this freedom, I have evolved my practice and created a health care team. This team has allowed me to see more patients and care for them in a more comprehensive and coordinated manner. My practice includes 2,300 patients. I see these patients in the office and as inpatients at Mary Greeley Medical Center in Ames. I have a closed practice. That means I see only my own patients except when on-call for my physician partners either in the office or on weekends for inpatient calls. I am also the co-medical director for Homeward Hospice in Ames, which means weekend rounds and every other Wednesday interdisciplinary team meets and rounds. Fast forward to today—21 years later—we now keep electronic medical records (EMR), a “roomer” nurse who puts my patients and the patients of one of my partner’s in exam rooms; a “shot” nurse who gives injections(influenza, shingles, tetanus, childhood immunizations, and others injections) and also does EKG’s and ear rinsing for the patients of the four physicians and two mid-levels providers in the clinic; a head nurse, and one health coach equivalent—a non-nurse who works as a health coach two days a week, and a nurse who works three days a week. This team approach has allowed me to increase the number of patients seen each day from 15 to 25, to sometimes seeing more than 40 patients a day. For example, in the week before a recent vacation, I saw 40 or more patients a day for the four full days I worked that week. The fifth day of that week was my usual half day in the office. Most important, I am much better able to care for my patients, which is good for them and the wise use of financial resources. It is my belief that health coaches are a wise use of financial resources and are critical if health reform is to survive financially. This premise is what I would like to explore in this blog. 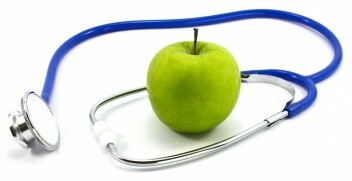 So, what does a health coach do and how does a health coach aid health reform? First, not everyone agrees with the benefits of health coaches in a practice. Earlier this year, Mercy Hospital in Des Moines terminated 29 health coaches who worked in their primary care clinics. I believe that health coaches are an integral part of a coordinated health care system which, in my mind, provides better care at lower cost for patients. My other part-time health coach, who is a nurse, summarized her job as providing the necessary services to allow me to spend as much quality time as possible with my patients. My health coaches allow me to listen to patient needs, examine them physically and mentally, determine their diagnoses and recommended treatment plans and, finally and often more important, counsel them about any mental health issues. My health coaches provide me time to fully engage with each patient on a more personal level, rather than spending time imputing patient information into a computer during their clinic visit. I can focus fully on my patient. In this regard, she and her co-health coach preps the EMR for all upcoming physicals, and follow-up appointments for patients with hypertension and diabetics. By prepping, I mean they evaluate the EMR prior to the patient’s visit to determine what tests, per protocol, have been done or need to be done, and create a template for the visit which I use for my documentation during the visit. For physicals and diabetic re-checks, they will see the patient first, asking pre-determine questions. For diabetics, they will prick the patient’s finger for the 3 month blood sugar test called a Hemoglobin A1c. They keep track of my diabetes registry, which is my list of diabetic patients (currently 183 patients) whose data includes blood pressure, blood sugar parameters, weight, etc. We update this list in summary form every month. They keep track of my Medicaid Health Home (MHH) patients in a similar fashion. As a Level 3, Patient-Centered Medical Home (PCHM), we now ask, discuss, and document patient goals for conditions of obesity and diabetes, which we follow and use to interact with patients over time. My health coach who is a nurse teaches diabetic patients how to start to insulin use. She also assists my head nurse with medication refill requests. In relation to the Affordable Care Act, last year both my health coaches became Certified Application Counselors and helped many of my patients, as well as some of my partners’ patients, to sign up for health care coverage. They also enroll my patients for the McFarland Clinic’s web portal called “MyChart.” I have the highest sign-up rate in the Clinic; 75 percent of my patients are signed up for MyChart. What does a health coach do? For the patient, she reviews past efforts, and then prepares for the upcoming clinic visit; she meets with the patient to learn the patient’s current status. She helps guide and motivate the patient regarding positive behaviors and setting health goals. She keeps the patient connected via MyChart and can help the patient sign up for health care coverage. For me, health coaches provide the important opportunity that allows me concentrate on good medical care while all the other necessary tasks are performed that allow the office to function effectively and efficiently. Several years ago, I sat with Dr. Dave Swieskowski of Mercy Medical Clinics on a committee trying to design a way to coordinate care. Insurance companies were hiring phone health coaches to anonymously call patients to try and improve patient care with no sense of relationship with the patient. Dr. Swieskowski and I both rejected that model of care. We both strongly supported health coaches/managers become an integral part of the team in the office of the family physician. I took from that experience the vision that my health coaches have now actualized. Time and time again, I believe my health coaches are connecting with patients and improving their lives, such as that grieving diabetic patient I mentions above. Because of my health coaches and my overall health care team, I believe we are providing better preventive care, episodic care, and chronic care which, in the long run, will enhance quality and cost efficiency.